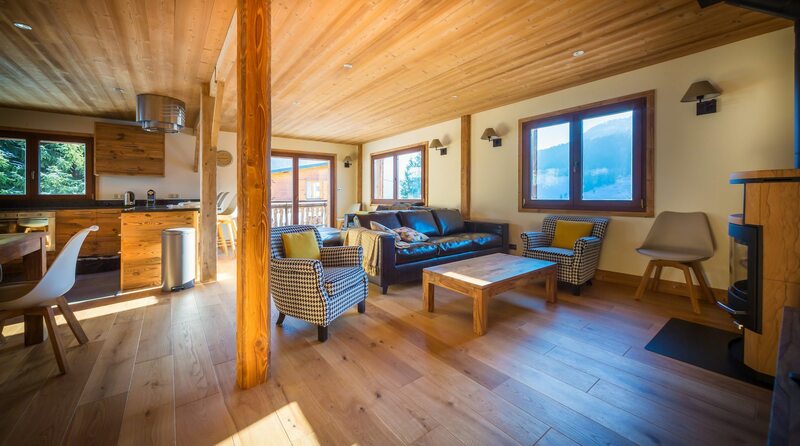 A newly renovated 4 bedroom self-catered chalet with open plan living, movie room and 4 spacious bedrooms. 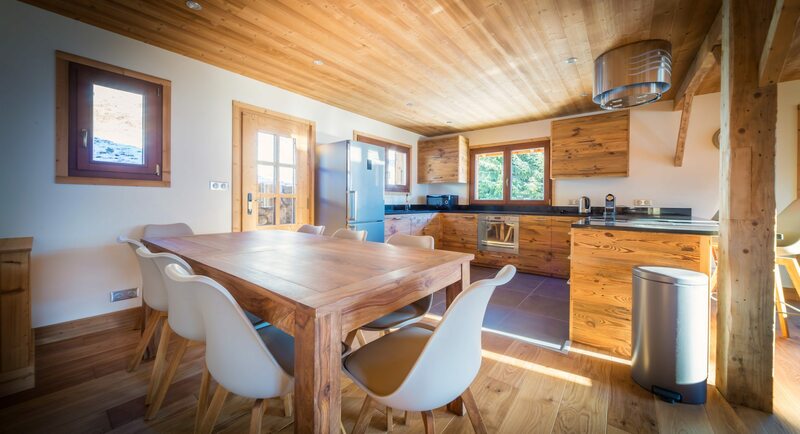 Newly renovated, this spacious self-catered chalet is perfect for groups of 8 to 12. 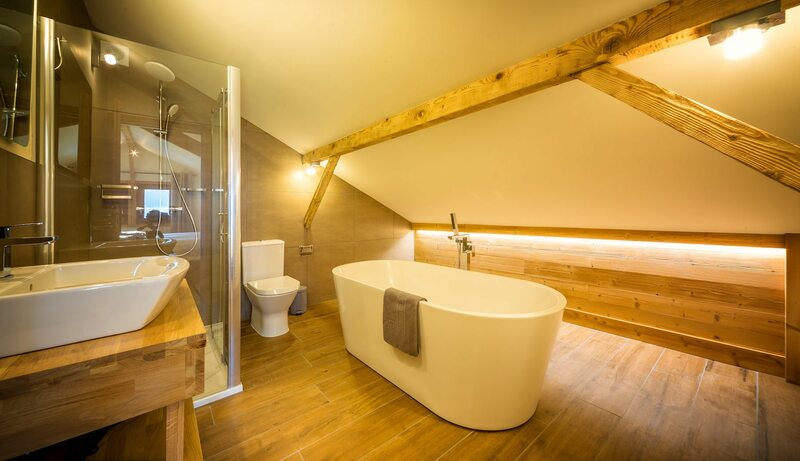 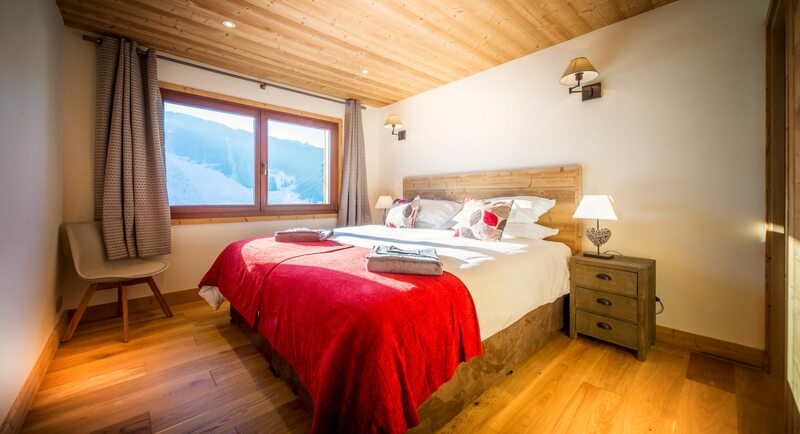 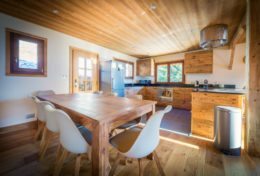 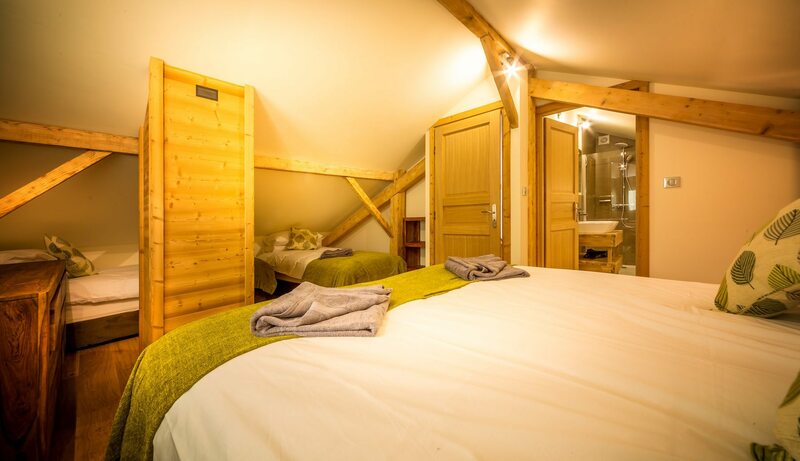 Designed with comfort, space & quality in mind, the stunning chalet boasts triple glazing, all new fixtures and fittings, brand new furniture & wood burning stove to relax beside after a day on the slopes! 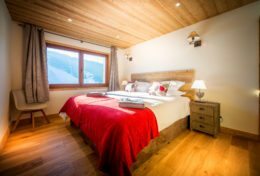 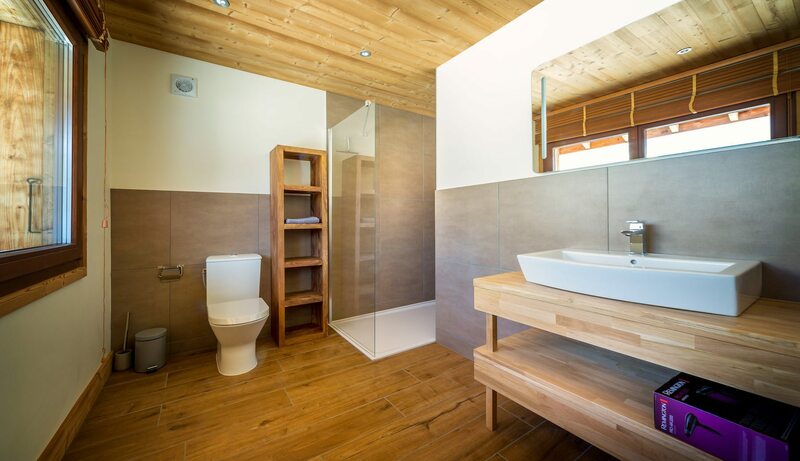 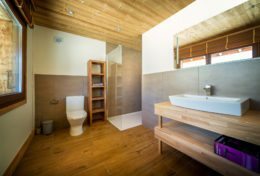 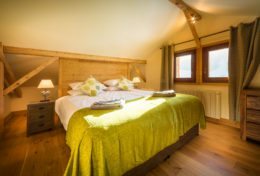 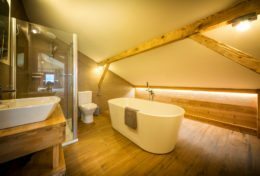 The 4 bedroom ensuite chalet sleeps up to 12 people and offers stunning mountain views from a secluded but very central location in Morzine. 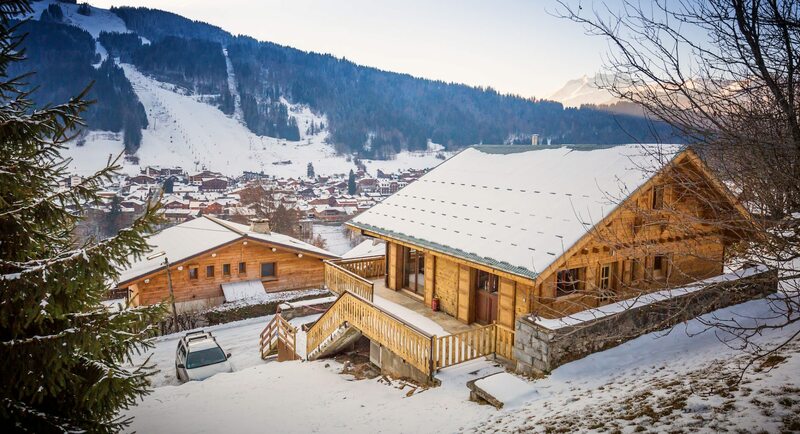 Renovated to the highest of standards by a skilled property developer, Chalet Mont Calm offers stylish and spacious accommodation, perfect for family groups or friends alike. 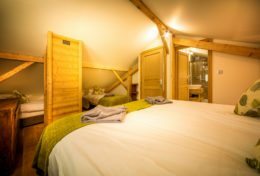 With 4 ensuite bedrooms (including 2 family rooms), a designated TV/movie room and a ‘chill out den’ on the top floor, there’s lots of space on offer for everyone in your group. 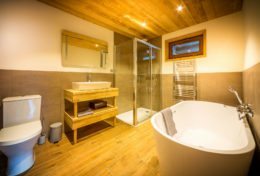 The kids (and adults!) 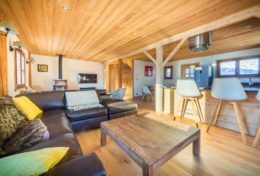 will love the TV room on the lower floor and the open plan kitchen, dining and lounge area on the middle floor with terrace and fabulous views, is the perfect spot to enjoy a cold demi or glass of fizz post mountain. 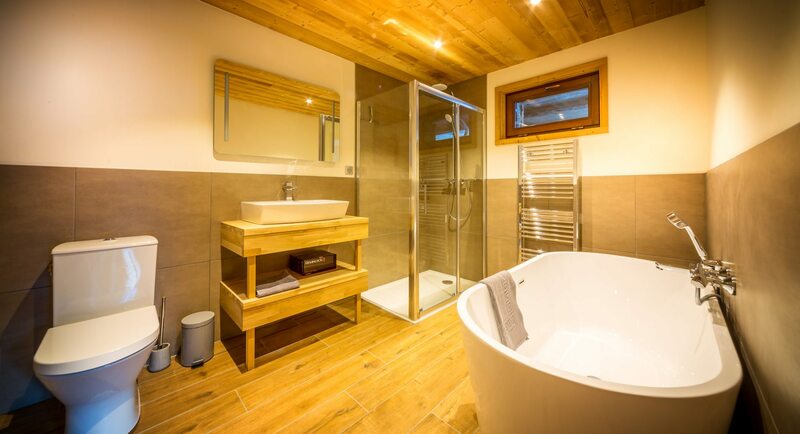 And to ensure your boots are ready to go the following day, there are boot warmers ready for your use. 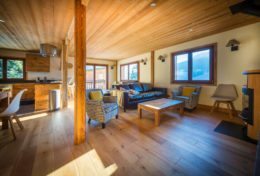 There’s also plenty of parking available for those who wish to drive to resort as well as a level garden area and terrace. 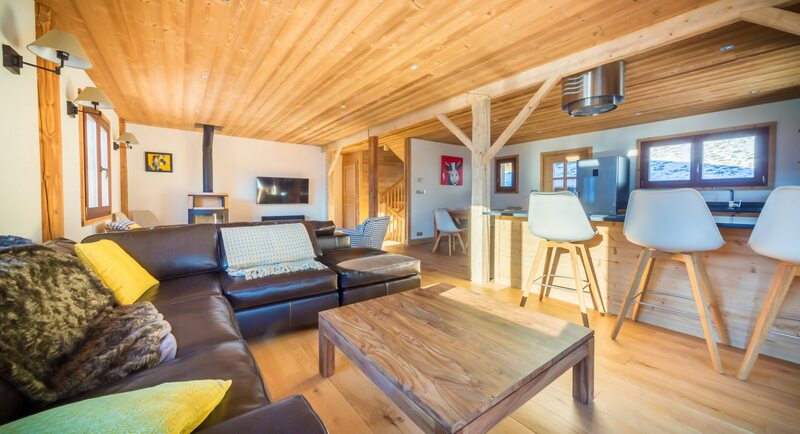 The chalet is south facing so really maximises the magical alpine light and captures the sun all day. 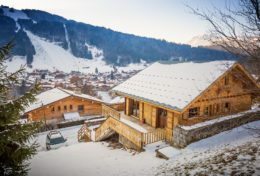 Located on a private street, the chalet is very centrally located in Morzine on Chemin du Mas Metoud – just a 5 minute walk to the Super Morzine bridge & less than 50m away from the closest resort shuttle stop (line D) which is free and runs every 30 minutes throughout the day. 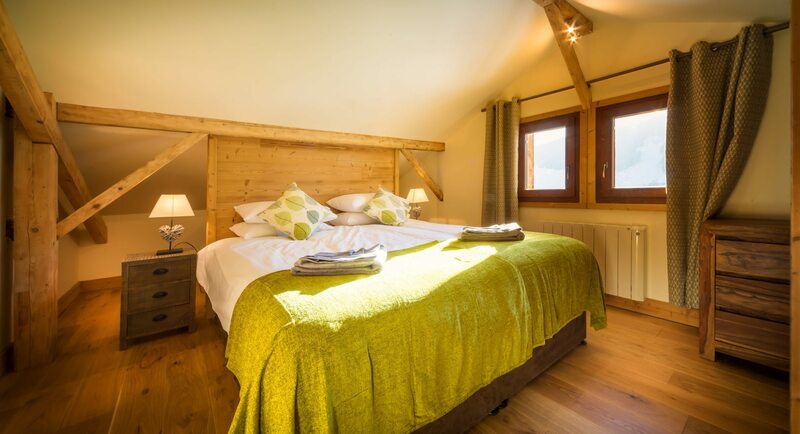 "One of the nicest chalets and locations that we have stayed in"
"Chalet was in the best position: great privacy, fantastic view and bus stop at end of the drive"
The price includes: Meet and greet, full chalet clean, 24/7 concierge, welcome pack, linen (with beds made as requested) & towels. 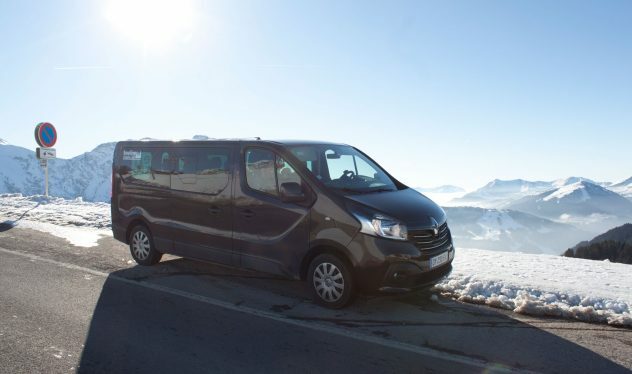 Catering options can be arranged, please ask for more details. 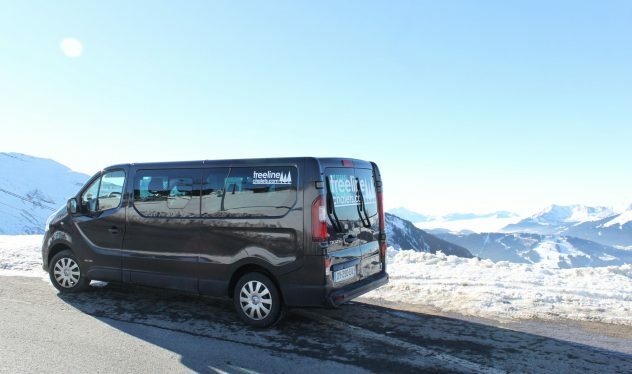 We can also arrange transfers at unbeatable prices from Geneva airport, ski-hire to come to you at the chalet and have your lift passes ready and waiting for you on arrival to save you having to queue up and get straight on the slopes!